I usually look for strong religious studies, history, local interest, music, and literature sections. But it's enjoyable enough just to browse around the labyrinth of shelves, heaving with books, ready to topple at any moment. McMurtry describes some of the fussy, cantankerous, bizarre, brilliant characters he's met during his life in the trade. He makes the rumpled old codgers of the business sound like super heroes. That is a real feat in itself! 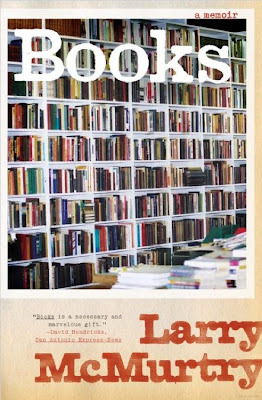 He talks about his own interest--first editions, comics, literary fiction--and the big finds he has scored over the decades. 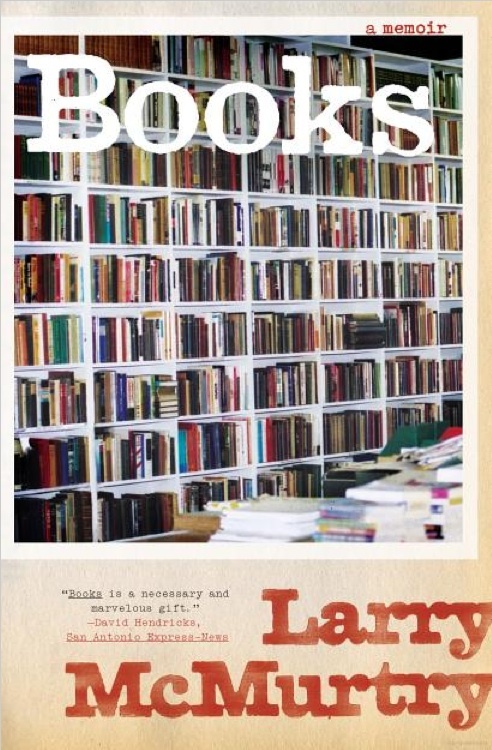 As a bonus, the book combines two of my favorite things, the memoir and obsessive collecting. One might pose this question: If you don't enjoy the physical work of handling books, why be an antiquarian book seller at all? There are certainly better ways to make money than selling secondhand books. The pleasure of a hands-on approach to book selling is both intellectual and tactile. The best bookmen rarely lose or exhaust their curiosity about editions) variants, points, bindings, provenance, cost codes, and the like. The things there are to know about a given book-particularly if it's a complicated book, with a complicated text-absorb the attention of the best dealers for a lifetime. And certainly a normal lifetime is not long enough to enable one to learn even half of what there is to know about antiquarian books in general. As we've discussed on this blog in the past, there's a strong case to be made for the physicality of old books and paper print sources. I love the easy access of reading on my iPad, but it doesn't beat the book as far as I'm concerned. And I can't imagine any virtual replacement for the charming, creaking old book shop! What a great description of the joys of browsing. Books are never just a commodity--"shopping" for them seems totally different from spending time with any other retail object. Or maybe I'm just saying something about myself. I am still an incurable bibliophile, despite having far too little time to read (due to a fast approaching manuscript deadline) and bookshelves that are fit to burst. There is something about the smell of old book stores, the fact that you can pick up and put down 20 volumes without a sales associate bugging you, and the childlike glee of stumbling across a rare find, that neither e-book "stores" nor Amazon can replicate.